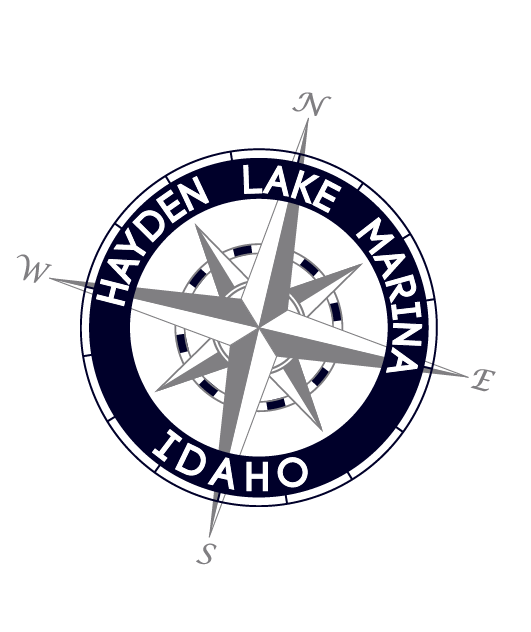 Hayden Marina, in Cooper Bay, is located on beautiful Hayden Lake in the panhandle region of North Idaho. Surrounded by beautiful timber shores, crystal clear waters, and 40 miles of shoreline, the lake is seven miles long and almost two miles wide. The normal lake elevation is 2,239 ft. above sea level and can reach almost 800 feet deep. The surrounding panoramic timbered mountains can reach an elevation of 4,500 – 6,000 feet and mostly belong to the Coeur d’Alene National Forest, known for excellent hunting, hiking, and camping. The lake is popular for fishing, boating, and summer activities including wakeboarding and canoeing. Many historic sites, including the famous Clark House and Hayden Lake Country Club, surround the Hayden Marina.